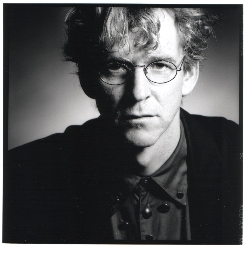 Composer Hans Koolmees was born on the 27th of October 1959 in Abcoude, Holland. At the conservatory of Rotterdam he studied composition with Klaas de Vries, organ with Jet Dubbeldam, arranging and conducting with Bernard van Beurden, and electronic music with Gilius van Bergeijk. Hans Koolmees works as a composer, as a teacher in composition and instrumentation, and as an organist. His compositions have been performed by Oliver Knussen, The Hague Philharmonic Orchestra, The Rotterdam Philharmonic Orchestra, Netherlands Philharmonic Orchestra, Daniel Reuss, Cappella Amsterdam, the Schoenberg Ensemble, the DoelenEnsemble, Ellen Corver, Lucas Vis, and Calefax reed quintet. From 2003 – 2008 he was the artistic director of the DoelenEnsemble. In 2009/2010 he was artist-in-residence in the Van Doesburghuis in Meudon, near Paris. He is chairman of the Union of Dutch Composers. His composition Cantate for large orchestra was awarded the first prize of the composer’s composition organized by The Hague Philharmonic Orchestra on the occasion of its ninetieth anniversary in 1994. In 1999 Theatre Lantaren/Venster in Rotterdam organized a 4-day festival with his music, where, apart from older work, three new pieces were premiered, including the oratorio The Tower of Babel.